A slot bursting with stars and brimming with excitement. A timeless classic video slot waiting to be played – this sums up your upcoming journey to the stars. Once you open Starburst, you will find out the bright skies above our heads can only be outshined by the precious jewels and the sound of rewards pouring on Starburst five reels. Get ready to shoot for the stars with this NetEnt stellar success at LV BET – make a deposit and grab your amazing LV Spins on Starburst to start spinning up and beyond. Just make sure you have a pair of sunglasses because these reels are dazzling! Whether you are a seasoned player or about to give your first spins, you can be sure that there is always a bonus to fit your playing style. 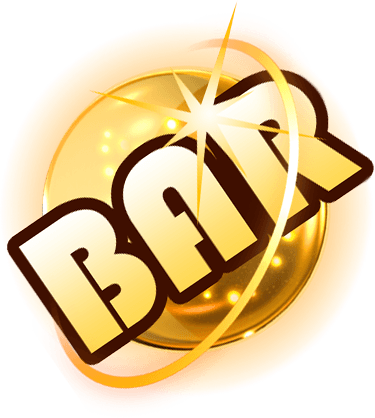 At LV BET you can spin on Starburst slot with a bunch of LV Spins to help you reach the stars and come back with astronomic rewards. 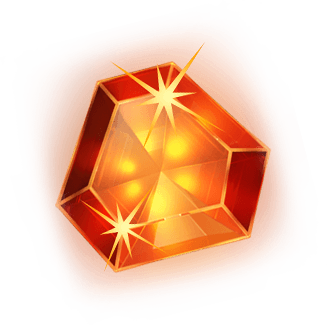 If you already have an account, simply log in and make a deposit to get your LV Spins on Starburst™, with the number of spins depending on the amount deposited. If you are a new player all you need to do is create an account and make your first deposit to enjoy the Welcome Bonuses and much more. Enjoy a truly amazing Starburst casino experience and let it shine for you. The category that Starburst slot falls into is the classic due to the arcade atmosphere attached to it, this only takes your Starburst casino experience to a whole new level once you start spinning its dazzling 5 reels with 10 pay lines. 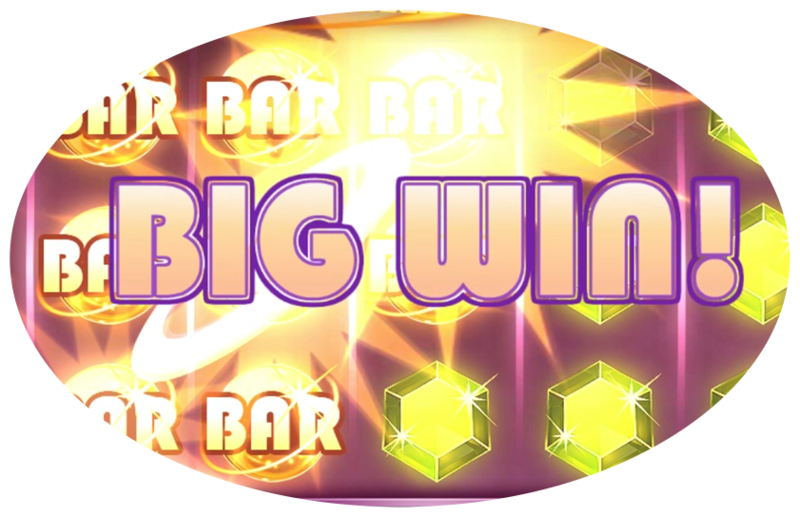 The game window is fairly simple and the Starburst slot style, although not unique, does stand out among the crowds with its traditional symbols combined with modern graphics – but what players really love about it is the massive payouts with a great dose of fun on every spin. 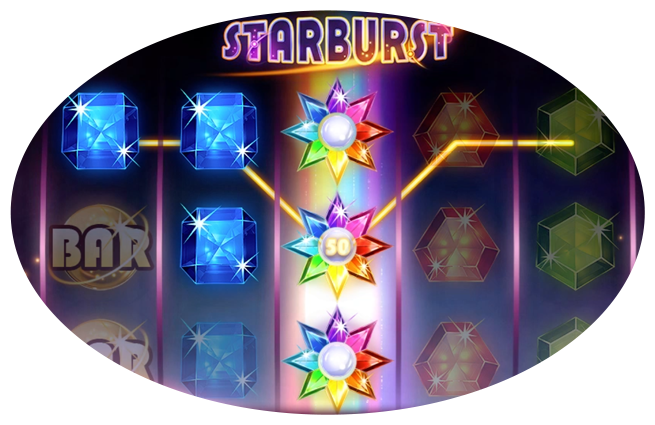 Once you begin your Starburst casino experience you will never be the same; the incredible Starburst slot comes with the innovative and exclusive Starburst™ Wild feature, which allows the Wild symbols to appear on reels 2, 3 or 4 and expand over the entire reel and remain in place for up to 3 Respins, at no extra cost to you and adding extra winning chances. 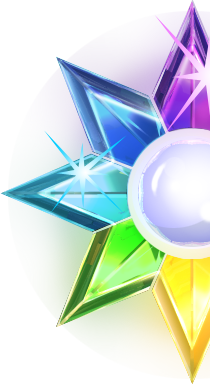 This powerful feature is responsible for up to 50,000 coins in payouts if you are lucky enough to fill the reels with similar symbols and the rainbow-coloured wild symbol, which is also the Starburst logotype. With a good average return to player (RTP) around 96.1%, Starburst slot is the first choice for any casino players looking for a reliable source of entertainment packed with consistent payouts and without having to break the bank in order to have some fun spinning. You will definitely be amazed by the gleaming splendour of what can be defined as the birth of a slot icon. 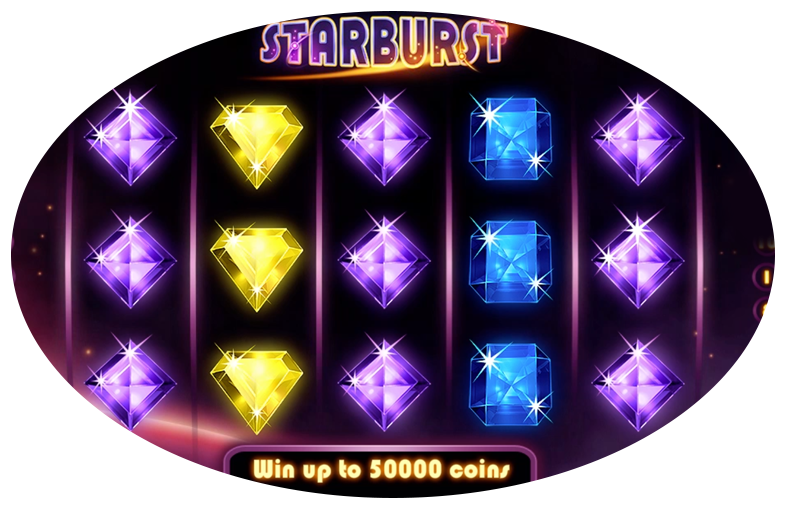 Players burst in joy and laughter with this NetEnt creation specially because of the Starburst expanding symbols show up on the reels quite often, making the screen explode with dazzling rewards. Your Starburst casino experience start once you open the game window, which is fairly simple and features most of the traditional control buttons, allowing you to change the coin value and level, set the AutoPlay for a fast-paced Starburst slot gameplay and also more advanced spinning options, you can check the pay table as well as getting the spinning started with the central Spin button. 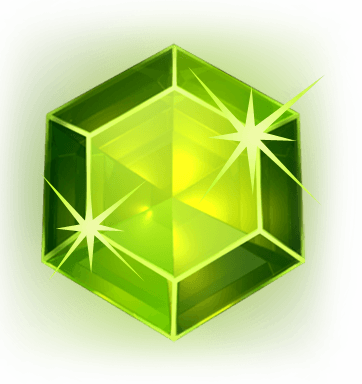 Join the uncountable players enjoying the worldwide famous NetEnt Starburst slot and take your own trip to the stars and back for never-seen rewards waiting to be revealed. The Starburst slot packs in its reels the common and well-known symbols you would expect from a classic-arcade video slot – beginning with the famous BAR symbol and also the highest paying symbol you can land, the alluring Lucky 7, the precious gemstones yellow topaz, green emerald, orange garnet, blue sapphire, purple amethyst and the rainbowed Starburst Wild symbol. Land 5 of these symbols to enjoy 250x your bet with the BAR symbol, 120x with the Lucky 7, 60x with the yellow topaz, 50x with the green emerald and 40x with the orange garnet; the low paying blue sapphire and purple amethyst can yield a maximum of 25x your bet. Get ready and good luck! This casino first deposit promotion is open to all new LV BET customers, who will register through this website and use STARBURST bonus code during registration. This promotion is valid between 22.11.2018 and 01.12.2021. Deposits made using Neteller, Skrill or Skrill 1-Tap do not qualify for this offer. Players can choose between Standard, Premium and Mega offer. Standard Welcome Offer gives players 100% First Deposit Bonus up to €200 playable on all slot games (excluding games mentioned in point 3. of the First Deposit Bonus section of these Terms and Conditions). On top of the bonus, players can receive up to 200 LV Spins in Starburst slot game. Minimum deposit to claim this offer is €10. More details and Terms and Conditions of the Standard Welcome Offer can be found here. Premium Welcome Offer gives players 150% First Deposit Bonus up to €200 playable on Starburst slot game only. On top of the bonus, players will receive 100 LV Spins in Starburst slot game. Minimum deposit to claim this offer is €50. Players can claim Premium Welcome Offer by choosing the PREMIUM OFFER bonus tab in the deposit page before making their first deposit. Mega Welcome Offer gives player 200% First Deposit Bonus up to €200 playable on Starburst slot game only. On top of the bonus, players will receive 200 LV Spins in Starburst slot game. Minimum deposit to claim this offer is €100. Players can claim Mega Welcome Offer by choosing the MEGA OFFER bonus tab in the deposit page before making their first deposit. Customers from Afghanistan, Albania, Algeria, Angola, Bulgaria, Cambodia, Canada, Ecuador, Guyana, Indonesia, Iran (Islamic Republic of), Iraq, Korea (the Democratic People's Republic of), Korea (the Republic of), Kuwait, Laos People's Democratic Republic (the), Mexico, Myanmar, Namibia, Nicaragua, Pakistan, Panama, Papua New Guinea, Philippines (the), Portugal, Singapore, Sudan (the), Syrian Arab Republic, Taiwan (Province of China), Uganda, Yemen, Zimbabwe are excluded from this promotion. Bonus cannot be wagered on Table Games, Video Poker, Live Casino, and the following slot games: 1429 Uncharted Seas™, Beautiful Bones™, Big Bang™, Blood Suckers™, Castle Builder 2, Dead or Alive™, Devil’s Delight™, Eggomatic™, Eye of the Kraken™, Jack Hammer 2™, Jackpot 6000™, Kings of Chicago™, Koi Princess™, Lucky Angler™, Mega Joker™, Mega Moolah™, Pearls of India™, Robin Hood Shifting Riches, Scrooge™, Sea Hunter™, Secret of the Stones™, Simsalabim™, The Wish Master™, Tower Quest™, Zombies™. The maximum bet allowed cannot be greater than €5 or amount equivalent in other currencies (5 GBP, 5 USD, 50 SEK, 25 PLN) until the wagering requirements have been met. 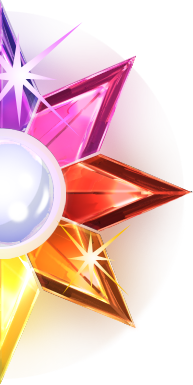 LV Spins will be credited automatically in the Starburst slot game after qualifying deposit is made. The number of credited LV Spins will depend on the type of offer player decides to choose. This offer can only be claimed once per person, household, family, household address, email address, credit card number, IP address or shared computer environment. Using VPN is prohibited. Currency conversions are calculated as per the following example; 10 EUR, 10 GBP, 10 USD, 100 SEK, 40 PLN, 3000 HUF, 60 RUB, 30 CZK.